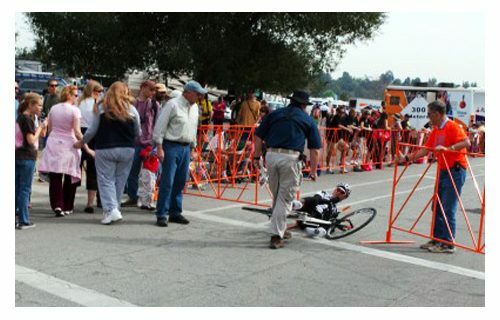 By the hands of a rent-a-cop as he’s trying to cross the finish line for the Tour of California. More info at the MashSF blog and Arkitip. As Matt points out, it reminds me as well of the NYPD officer who bodychecked a Critical Mass cyclist.